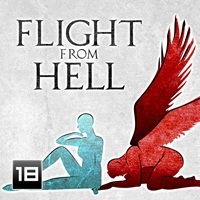 I’m currently uploading the audio for episode 12 of Flight from Hell. That’s the last episode of the season – seeing as I won’t be taking the opportunity for a prolonged holiday, season 2 will start on the tail of season 1, with just one week’s break to mark the change. I’ll be offering little quotes and teasers in a post on Sunday or so (tomorrow I’ll be visiting this Turkish city, forgot its name, with a bunch of Erasmus students, never knew their names). Stats say that people enjoy Flight from Hell. Well, either that, or they click on its links a lot – it’s a bit hard to tell which is which, considering the limitations of today’s technology. It makes me happy, even if I don’t know who they all are, or what they think or such. Except my mum and Linda and this friend of mine who was one of the first people to ever read my stories (back when they were truly crap). They say stuff from time to time. And I got to kinda love the Big World Network team. They’re not perfect, but they damned well strive to be, from the editors who read my mind and edit my words accordingly (but are still open to discussion), to the friendly tech support which reads my e-mails and gets things fixed yesterday. I have a nice writing rhythm now – no more periods of non-writing, no tendency to abandon the project (since I need to stick to it). It’s beautiful and it gets easier every week.